I’ve got the fabric for this alternate colorway to my Brickyard quilt, and I expect to be cutting it up soon. This is now a completed flimsy, simply waiting for me to find time to quilt it. I thought I would have started it by now but work got in the way. Well, that’s how it goes sometimes! Unfortunately, making alternate versions of the quilt in my book Idiot’s Guides: Quilting, has become less important than other, more pressing quilts. I really hope I get to one or two of these before year’s end! For details on each project, check my original post. Bridget graduated early so I need to get these done for her! I don’t have a final design for this one yet although things are progressing. I’ve placed the bag of fabrics for this quilt in a strategic spot so I can think about its design at least once a week. So far, I’ve got some interesting ideas but nothing’s jelled just yet. Hopefully I’ll knock off a bee challenge or two this quarter using these challenge fabrics. I participated in the Art from Fabric blog hop in May and my project is moving along towards a finish. I’m participating in Art from Fabric 2 in October, so I’m already thinking about a new art project as well so I’ve got two Art from Fabric projects to complete this quarter. Like Q1 and Q2, I have a number of gifts I want to make for friends. First though, I’m designing a zippered pouch for next week’s Christmas in July Blog Hop. I’m afraid I can’t show you more just yet, but be sure to come back next week for more details on the hop. I have a friend who is moving away, so I want to make her a mini-mini quilt or other nice quilty gift item as a goodbye gift. I have several friends who have helped me a lot lately, so making them a quick gift would be really thoughtful of me. <grin> Good thing I have a Pinterest board to which I’m constantly pinning gift ideas. Looks like I’m going to need them this quarter! My bee had its exchange so now it’s up to me to put these dotty blocks into a quilty something! Lucy comes and licks my toes every morning while I’m sitting at my desk, working. That’s her signal for me to brush her. Lucy’s a licker, and she uses it to calm herself and fall asleep. I want to make a kitty bed for her to place under my desk so she can do just that! I’ve been working on the design for my Irish Chain quilt, and pulling green fabrics. Since I’m Irish, this will be a nice quilting project for me! The focus this year in my Guild is a color study, so piecing a color wheel quilt to hang in my studio would be awesome! This one is super-secret, but I’m working on a design for my next quilt along. Ideas are spinning in my head, but every day I’m getting closer and closer to a design I like. I had so much fun with my first quilt along that I can’t wait to host another one! My daughter is making a Halloween quilt for her best friend Cici. Cici loves Halloween, so the quilt will be perfect for her! My job as mom is to quilt the result. Since my daughter’s home on break, I’m trying to encourage her to get the quilt top done so I can do just that. Katerina is actually making two of these--another one for her--so I'll be quilting two Halloween quilts. Better start thinking about how I'm going to quilt them! I just finalized the design for my Pulse donation quilt, and I’ve started cutting. Gotta say this project makes me feel real good. I haven't done a quilt along for awhile, and I've decided to do this one because I'll have a lot of time to finish if I need it. Gotta love that! My bee has collected lots of fabrics for our Bingo cards project, and I’ve got to sew up my cards this month. Since the party is not until December, it feels real good to have a project I’m not behind on! As you know, I recently designed a Bee Hive block and have offered it for sale in my shop. Designing that block was so much fun I want to do more! 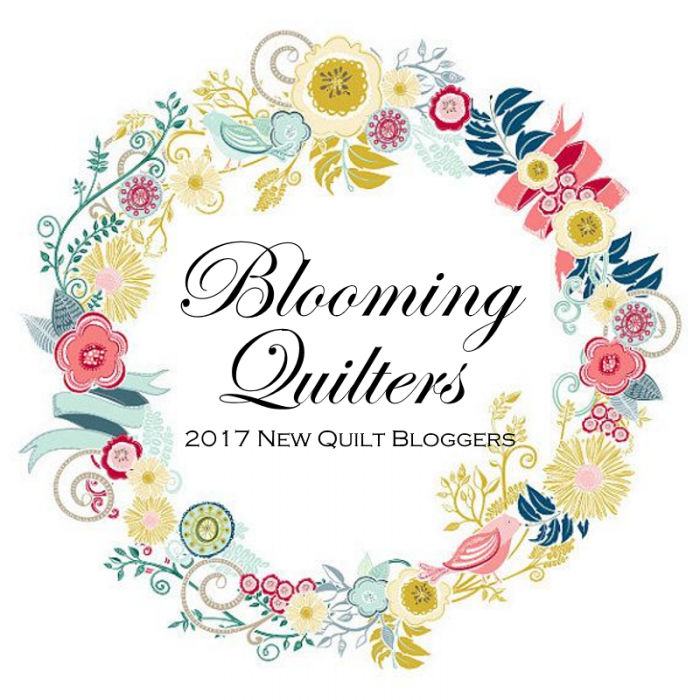 First, I’m involved in an upcoming blog hop with my fellow New Quilters Blog Hop members in which we will all be offering tutorials for a block we design. In addition, I’d like to design other blocks that I’ll offer free to regular readers for a limited time, then for sale in my shop. Stay tuned! Finally, I’d love to resurrect this project. In fact, I usually work on it every Christmas, but it’s still not done. I’d sure like to call this one complete so I can hang it up this year during the holidays. So this is my Finish Along List for Quarter 3. It’s large as usual but that motivates me. Wish me luck and lots of finishes this quarter! I also share my blog posts with these awesome linky parties! Tell me...what WIPs do you want to get done this quarter? Newer PostPulse Quilt Update and Two Blog Hops!